Growing up the son of a peanut farmer, Jimmy Carter would become the President of the United States, during a time of problems at home and abroad. While his 'perceived' mishandling of those issues did not win him a second term, his work in advocacy and diplomacy earned him the respect as one of the most successful post-administration Presidents this county has ever seen. Carter's 2002 Nobel Prize for Peace, the only native Georgian to win the Prize other than Martin Luther King, Jr., speaks to his post-administration efforts. 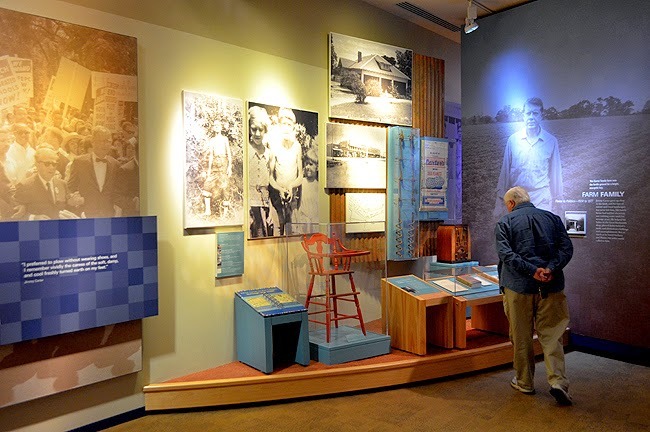 The Jimmy Carter Library & Museum is one of those museums that no matter how often you visit you're going to see something you hadn't seen before. And they offer an extensive amount of programming, book signing events, special exhibitions, and much more. The building was dedicated and the Museum opened to the public October 1, 1986. The research room was opened January 28, 1987. 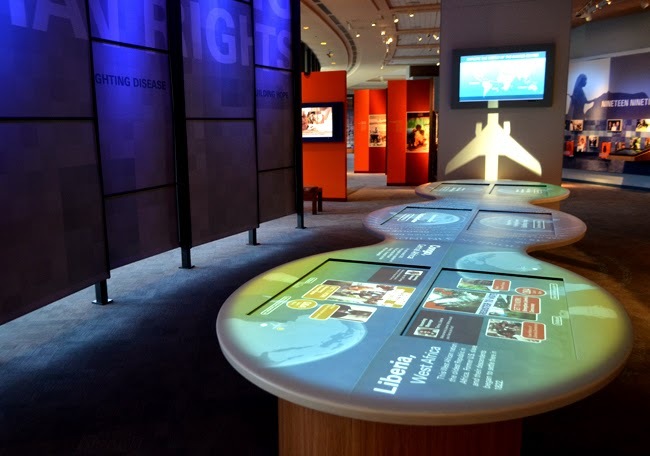 The Carter Center, on the same complex as the Museum, was founded in 1982 by former U.S. President Jimmy Carter and former First Lady Rosalynn Carter, in partnership with Emory University, to advance peace and health worldwide, which has generated remarkable results! 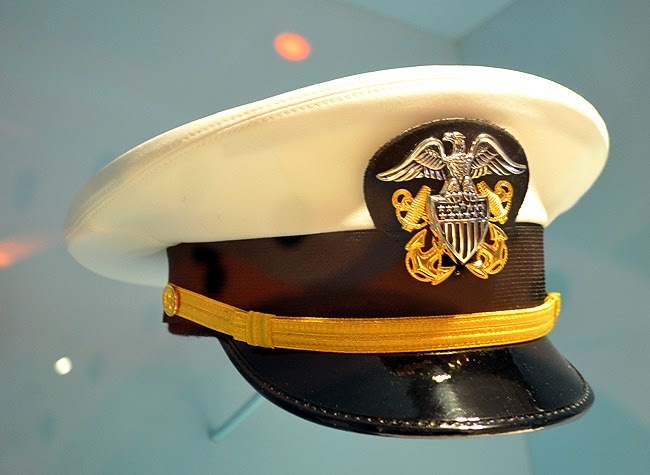 Jimmy Carter was in the U.S. Navy, as was I, and served submarine duty. I tried for submarine duty, but my math wasn't strong enough...good thing I enjoy writing. When I was in the Navy I did meet others who served on submarines and always found them fascinating. It's a unique assignment. Carter also got into photography, another passion of mine, but don't worry, I'm not pointing out similarities because I'm considering running for public office...I'm not. In the Facebook photo album coupled with this post, you'll find a passage of "The Navy Wife", which in today's world seems downright archaic and not at all politically correct. However, if read from a 2014 perspective,it can be quite humorous. Carter's father was a peanut farmer. When Jimmy was four years old, he and family relocated to Archery, a town approximately two miles from Plains, Georgia, Jimmy's birth town. It was a sparsely populated and deeply rural town, where mule-drawn wagons remained the dominant mode of transportation and electricity and indoor plumbing were still uncommon, much like my grandmother's home when I was two years old. I still miss her so much! The Oval Office was created in 1909, as part of an expansion of the White House. The room has grown to represent the authority and responsibility of the president. While you can't sit at the President's desk (like you can at Madame Tussauds in New York City—done that! 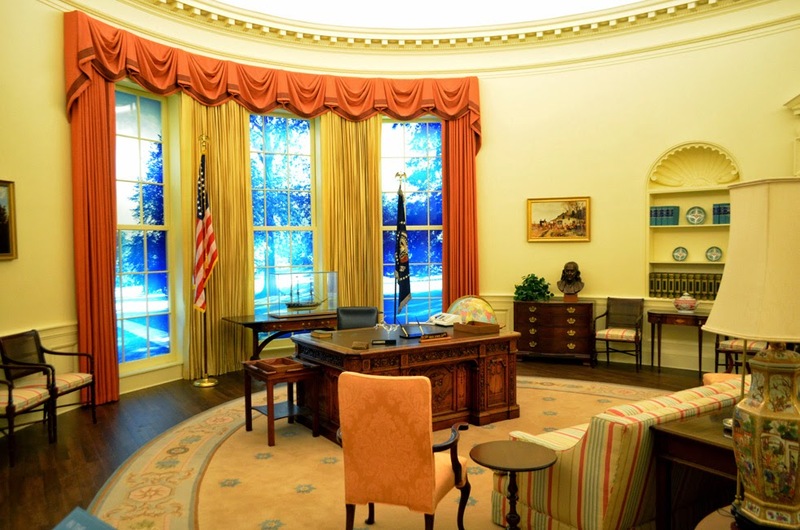 ), you do get to enter the Oval Office to explore from one side of the room. 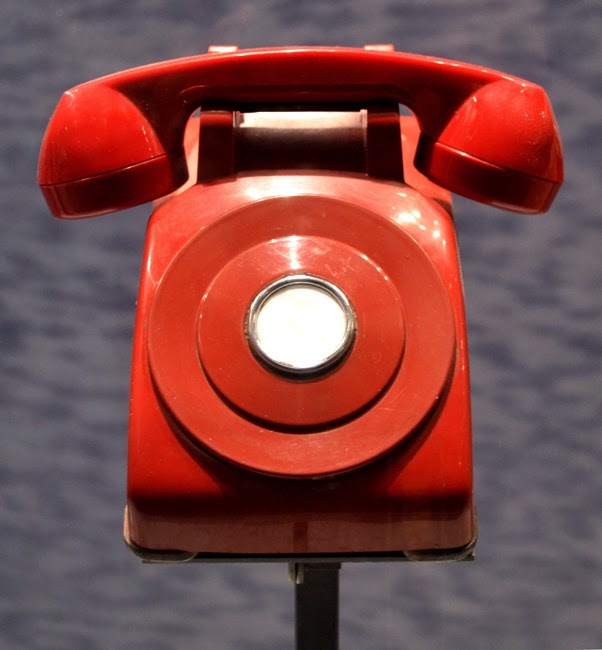 The 'Power of Hollywood' has convinced us that the 'Red Phone' was a hotline to the Kremlin, when in fact, during President Carter's Administration it was used to communicate with U.S. military command centers. You're going to be blown away by the number of artifacts in this museum! 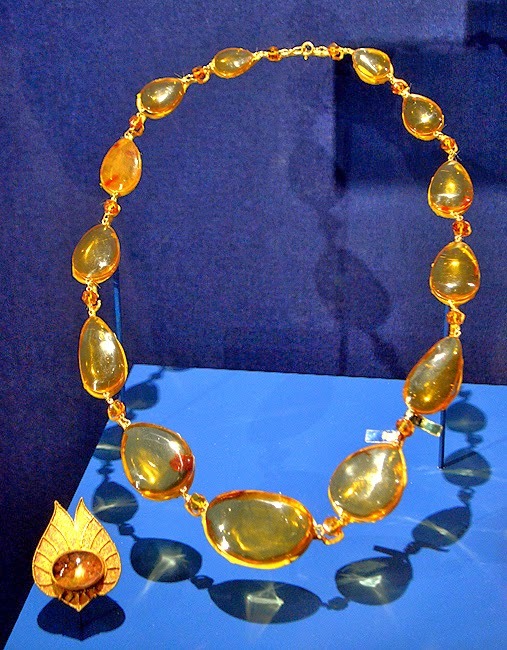 The Museum has on display quite a few of the items from other countries, as well as from the United States, that were gifted to former President Carter and former First Lady Rosalyn Carter, including this amber and gold necklace gifted to Rosalyn by President Joaquin and Mrs. Emma Balaguer of the Dominican Republic, and the gold broach with a semiprecious stone was gifted to Rosalyn by Queen Sirikit of Thailand. 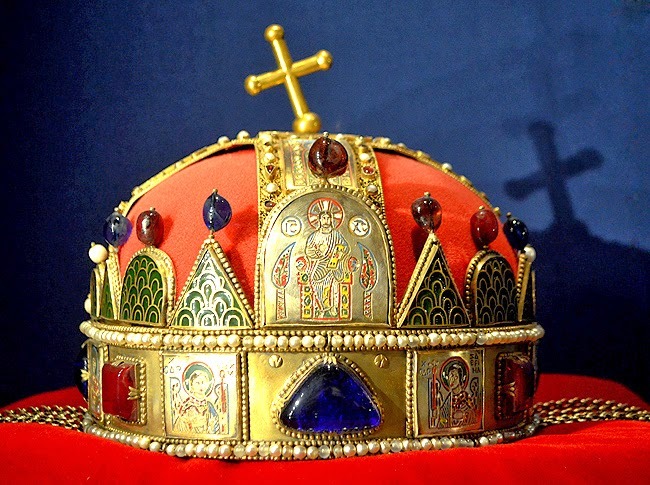 I've discussed the Crown of St. Stephen before, but I just couldn't not share it again. This, however, is a new photo. The Library itself is incredibly fascinating. It consists of an archives and a museum and is approximately 69,750 square feet...it's really more of a research facility, with a museum. The archives house approximately 27 MILLION pages of Jimmy Carter's White House material and papers of administration associates. And there are half a million photographs and hundreds of hours of film, audio and video tape. Researchers won't quickly become bored! As I write this, which has encompassed stolen moments over several days, I'm watching The Colbert Report with Stephen Colbert who is interviewing former President Jimmy Carter. Wow! How much fun. I sincerely hope that at 89 years old, I am as much fun and will be as energetic as President Carter. I'm really impressed at how lucid he is...and I mean that with zero disrespect. In fact, I have the greatest respect for President Jimmy Carter and what he's accomplished in his life. 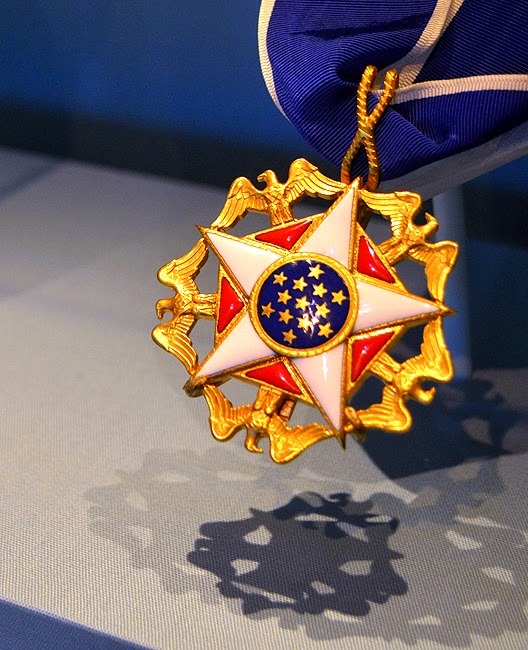 In the Museum, you'll get to see President Carter's Nobel Peace Prize, his Emmy Award, and his and Rosalyn's Medals of Honor (pictured above), which is the United States' highest honor for civilians. 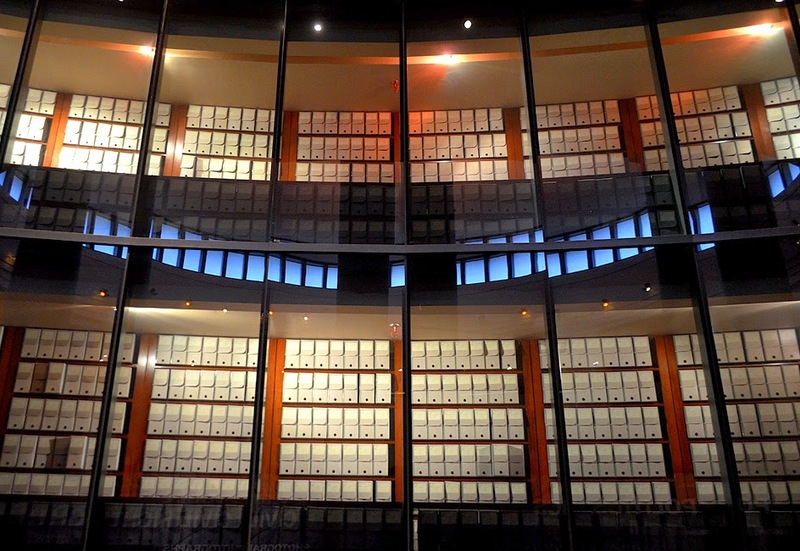 There are numerous other awards, bestowed on them, throughout the Museum. When you first arrive, you'll purchase your modestly-priced tickets in the gift shop and then enter the Museum through a theater. I highly recommend taking the time to watch the brief film offered. It chronicles Jimmy Carter's life and notes his many accomplishments. It's well worth the time. 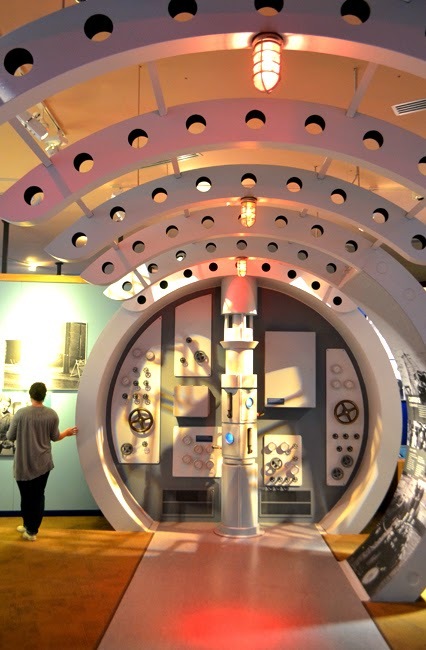 Speaking of time, plan plenty for your visit to The Jimmy Carter Library & Museum...there's so much to take in! But don't let that stop you if you have only a little while. I think you'll enjoy the experience no matter how much time you have. I started this post by saying that you will soon have an opportunity to meet President Jimmy Carter, in person. He will be at The Jimmy Carter Library & Museum signing his new book, A Call to Action: Women, Religion, Violence, and Power, on Wednesday, April 9. The line (seated) begins at 4:00 p.m. and the signing begins at 6:00 p.m. It's not every day you get to meet the son of a peanut farmer, a sailor, a former U.S. President, and an incredibly effective humanitarian...all in one person!